Van Nicholas Amazon Touring Frame inc FREE HEADSET and £50 OFF ANY FORK; The Amazon is a high spec "doing anything" bike for the rider with a taste for adventure. Add this Van Nicholas Amazon Titanium Touring Frame inc HEADSET to your basket for more information. Have you found the Van Nicholas Amazon Titanium Touring Frame inc HEADSET Cheaper? The Amazon is a high spec "doing anything" bike for the rider with a taste for adventure. If you could only have one bike - then this is it. Touring, Cyclo Cross, Audax or stripped down for a fast road ride with narrow section tires, the Amazon with it”s array of brazes on”s provides a multitude of solutions. As with all Van Nicholas models, performance is paramount but aesthetics satisfy desire. The Amazon geometry is set to enhance day long comfort and stability under load, yet offers rewarding handling for a faster ride. The Van Nicholas Amazon is our Cycle-Cross / Touring / Upright Road Bike / and “Audax” machine. 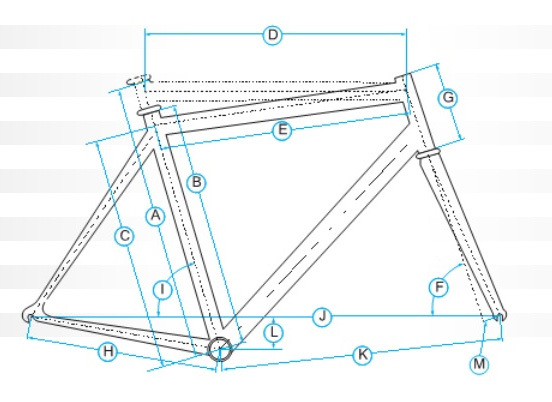 You can seize the day and configure this frame in a multitude of variations to meet your performance and riding criteria. Complete rack and fender braze-on assortment, with ample tire clearance allows you to use and attach anything that your riding requires. The frame is cantilever, V-brake, and Disc Brake compatible as well as having three sets of water bottle bosses. What do you think of Van Nicholas Amazon Titanium Touring Frame inc HEADSET?